Intel claims it's waiting to ship 10nm until manufacturing yields are in line. Intel has finally committed to when it can deliver 10nm silicon to consumer PCs: by the 2019 holidays, leaving its 14nm products to establish what executives called "system leadership" until then. Previously, Intel's guidance had been that the company would deliver 10nm products in volume by 2019. On Thursday, during the company's second-quarter conference call, Intel executives said that they would deliver 10nm during the second half, later clarifying that they would ship consumer PC systems in time for the holidays. Xeon chips manufactured on the 10nm process will soon follow, they said. Intel reported net income of $5.0 billion, up 78 percent, for the quarter. Intel also reported record revenue of $17.0 billion, up 15 percent. The call felt much like an audition to replace former chief executive Brian Krzanich, who stepped down after acknowledging a relationship between himself and an employee: Interim CEO Bob Swan, Data Center Group chief Navin Shenoy and Venkata (Murthy) Renduchintala, who runs the Technology, Systems Architecture & Client Group, also spoke. On one hand, Intel reported record revenue and even raised its revenue guidance for the year, pleasing analysts. On the other, several analysts asked about Intel's 10nm delay. 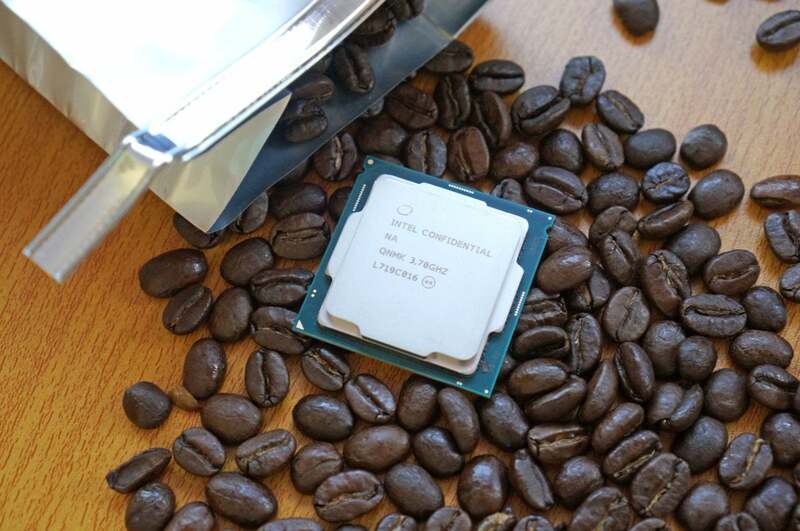 Intel has been supplying 14nm PC microprocessors since the 2014 Broadwell generation. 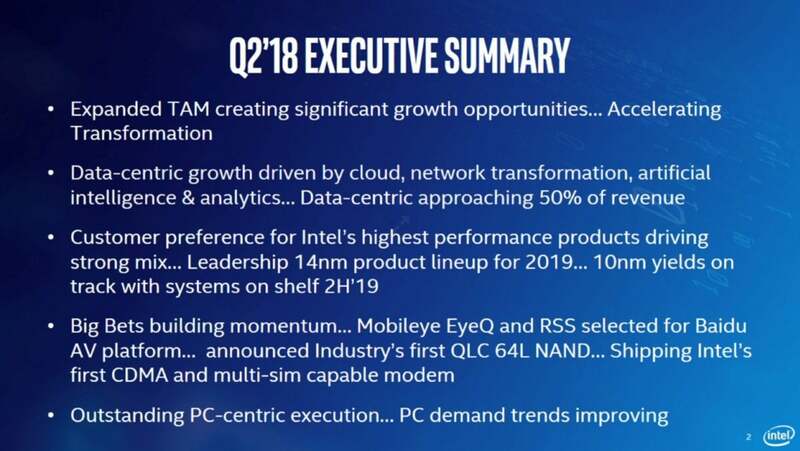 One fo the slides from Intel's second-quarter presentation, which clearly states when Intel will ship 10-nm processors within PCs. Renduchintala put a positive spin on the benefits of Intel's 14nm process, saying it would continue "to drive product leadership across client and server." He also portrayed product cycles as a continuum. "Processes are important," Renduchintala said. But as Intel looks forward, "we're taking a very balanced view in all the ingredients, as there will be a much longer overlap in the generations of technology as we try and make sure we invest in the other ingredients of technology leadership that will become more and more apparent." Intel executives declined to say exactly what processor architectures Intel would ship in the interim. At Computex, however, Intel disclosed that its "Whiskey Lake" and "Amber Lake" chips would ship this fall, using a variation of the "14nm++" process technology. Though the manufacturing process used by rival AMD isn't directly analogous, AMD is already on a 12nm process, which it will use for its second-generation Threadripper microprocessor later this year. Presumably, Intel's 10nm chip will be the one code-named "Cannon Lake," but the company has yet to confirm this. Updated at 4:12 PM with an Intel slide from its earnings presentation.